And now you've made me want it and I don't even have a Blu-ray player yet. 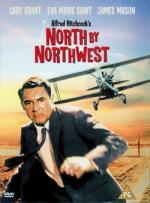 Set in San Francisco, James Stewart portrays an acrophobic detective hired to trail a friend's suicidal wife (Kim Novak). After he successfully rescues her from a leap into the bay, he finds himself becoming obsessed with the beautifully troubled woman. One of cinema's most chilling romantic endeavors: its fascinating myriad of haunting camera angles shot among some of San Francisco's renowned landmarks. This film is a must for collectors; Leonard Maltin gives Vertigo four stars and hails it as "A genuinely great motion picture that demands multiple-viewings." This time around it was mainly the story that kept me interested, not so much the actors. James Stewart was okay, but I didn't much care for Kim Novak. Part of that is not really her fault: I really hated the look of her bleached hair. So overall I enjoyed this movie. So far it is one of the better Hitchcocks I have seen. But I am not sure if I will watch it again in the future. Though I still think it is a spoiler, if you know to expect a plot twist. With this I mean, if a movie hinges on such a twist. Spoilers for twists in my opinion are only needed if you're talking about what it was, or if it's at the end (better to be ignorant and let the movie surprise). Here, it is almost important to mention that there is a shift. I alluded to it as well, that it feels like the core story is done inside 80 minutes, but then it continues in a new direction. If you're really nerdy, you can consider how it breaks the Western conventions of narrative equilibrium (or at least plays with it) and then it becomes of specific interest to other nerds. Alfred Hitchcock's landmark masterpiece of the macabre stars Anthony Perkins as the troubled Norman Bates, whose old dark house and adjoining motel are not the place to spend a quiet evening. No one knows that better than Marion Crane (Janet Leigh), the ill-fated traveller whose journey ends in the notorious "shower scene". First a private detective, then Marion's sister (Vera Miles) searches for her, the horror and the suspence mount to a terrifying climax where the mysterious killer is finally revealed. It took seven days to shoot the shover scene, seventy camera setups for the forty-five seconds of this now famous footage - and not an actual bare breast or plunging knife is to be found in the final cut, just illusion through montage. AFI 1960 Won 100 Years... 100 Quotes (2005) "Quote": A boy's best friend is his mother. This is the first time I have watched this classic (I have never watched a Hitchock movie before this marathon). The best Hitchcock movie I have seen so far. I enjoyed this one from beginning to end. I must admit it took longer figuring out the ending than I expected. I had an inkling at the time of the famous shower scene, but I wasn't convinced yet. I finally guessed it in the scene, where Bates carries his mother downstairs. (the spoiler tag probably wasn't necessary here, as this has become such a public knowledge, that even I knew about it even though I have never watched this movie). I am glad that I avoided further spoilers before finally watching this movie. It's still very rarely done now because it's so difficult to pull off. Tarantino sort of did it in Death Proof, but while I like the film, it does kill the pace. 1960 was a great year for horror. While Hitch was testing audiences in his way, Michael Powell was doing it his and destroying his career in the process. Peeping Tom was I think the first film to show it from the killers point of view, so the audience were forced to be complicit in the killings. Whether it was a step too far or it was just that no-one expected it of that nice Mr. Powell, I'm not sure. Powerful film though and worth seeing. Roger Thornhill [Cary Grant] is not a spy. And he's certainly no murderer. Nevertheless, Thornhill's a wanted man: enemy agents want him dead, the police want him arrested, and a cool, mysterious blonde [Eva Marie Saint] just plain wants him. A victim of mistaken identity, Thornhill can't afford to make any mistakes of his own - so he embarks on a death-defying run for his life. Relentlessly pursued by plane, train and automobile, Thornhill's cross-country chase finally ends atop Mt. Rushmore where, if he doesn't watch his step, he could be in for a terrible fall. 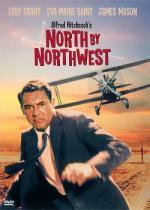 Nominated for three 1959 Academy Awards®, Alfred Hitchcock's North by Northwest is a masterful blend of suspense and romance, one of the best and most thrilling movie adventures ever created. This movie has some great scenes in it, like the biplane scene, but overall I found the movie boring. I had to force myself to stay awake (okay I was a little tired to begin with). My brother and I are always bothered by minor scenes in Hitchcock movies, which are just not realistic. The scene which caused my brother to exclaim this time, that he thinks Hitchcock had lost his grip on reality, was very early on. A car was chased by the police. The car stops and the police crashes into it. That in itself is a little unrealistic, but what follows is just stupid: Another car crashes into the police car. Why would this car follow a police car which had sirens on? And doing it keeping such a close distance to the police car, that he cannot avoid hitting it? It are scenes like this which always pull us out of the Hitchcock movies. But Tom, that's the sort of film he was making! You're taking it too seriously. This is what would become the template for action movies which are invariably built on set-pieces. He wants you to abandon logic just as much as him. Throughout this marathon I've found more and more evidence that Hitch was a big influence on Bond. Every Bond film is stuffed with things like that; abandoning logic is part of the fun of that sort of film. To base your entire review on one point seems a shame when people that enjoy NbN already understand why it's there. Yeah, but you tend not to like his serious stuff either. Plot:Cary Grant teams with director Alfred Hitchcock for the fourth and final time in this superlative espionage caper judged one of the American Film Institute's Top-100 Films and spruced up with a new digital transfer and remixed Dolby Digital Stereo. He plays a Manhattan advertising executive plunged into a realm of spy (James Mason) and counterspy (Eva Marie Saint) and variously abducted, framed for murder, chased and in another signature set piece, crop-dusted. He also holds on for dear life from the facial features of the Presidents on Mount Rushmore (backlot sets were used). But don't expect the Master of Suspense to leave star or audience hanging. Of all my recent Hitchcock films watched recently, this one I found the hardest to sit through without distraction. It is unnecessarily long, if the various action, intrigue and romance had been filtered into a shorter offering it may have held my interest more. The acting is good, Grant is convincing and suave in the lead, Saint is wholesome enough to attract (although the slutty first meeting on train was unbelievable). Mason of course is professional, but Landau didn't work for me. Plenty of famous landmarks and milking the 'innocent accused theme' so common in Hitch's films. The best scenes are clearly the most infamous - the crop dusting plane, and the Rushmore finale, but unfortunately there are several beyond belief or poorly shot moments which are unusual in his work. NBN is a well directed suspense/chase movie, but tediously dull in too many parts to give it a good mark.